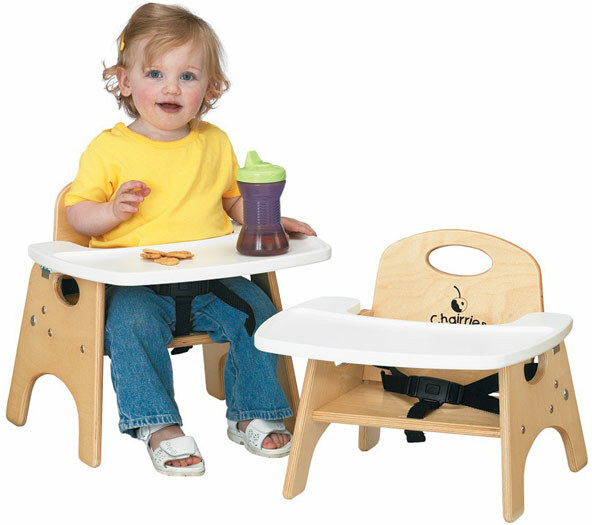 Snack time is under control with these sturdy and safe high chairs made of Baltic Birch, the strongest plywood in the world. Six graduating sizes to choose from, ranging in size from a back height of 14" to 25½". Three point seat belts remove for laundering. Detachable tray is easy to clean, seamless vinyl. Safety features include rounded edges and corners. Extra durable, non-toxic and lead-free KYDZTuff® finish that will not yellow. Each unit ships fully assembled and includes a lifetime factory warranty. 5" 13" 16½" x 12¾" 14" 14"
7" 14½" 16½" x 12¾" 14" 16"
9" 15" 16½" x 12¾" 14" 18"
11" 17½" 20" x 15¼" 19" 21½"
13" 18" 20" x 15¼" 19" 23½"
15" 18½" 20" x 15¼" 19" 25½"